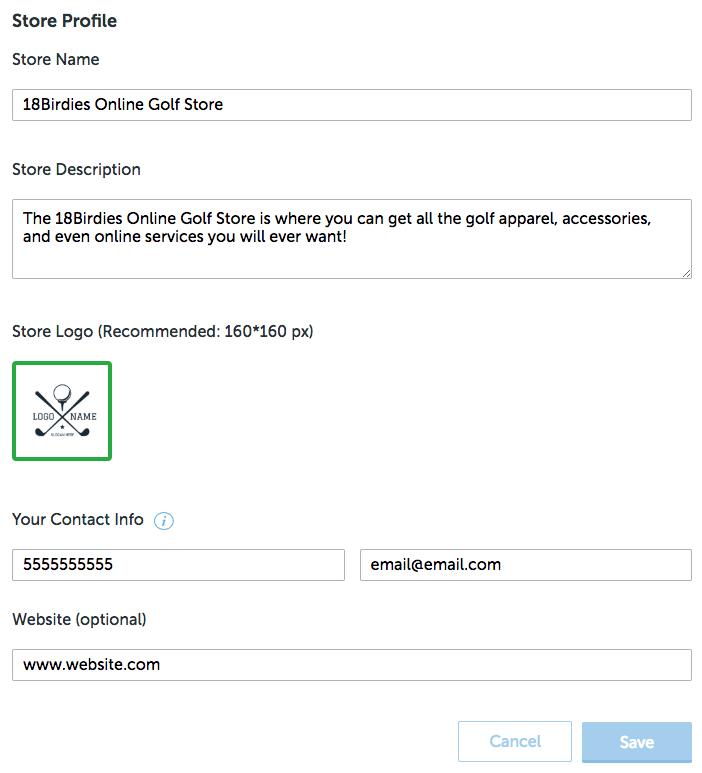 In order to use the Global Golf Store solution provided by 18Birdies, you will first need to setup you Store Profile. Your Store Profile is a simple overview of your online store viewable by 18Birdies users in the 18Birdies app. *The Profile page is editable at any time. Simply navigate back to the Profile tab and make a change to any field and click Save.